Martha can read people by touching their clothes, as if their memories and emotions have been absorbed by the cloth they wear. This strange ‘gift’ started when she became blind in one eye as a result of falling out of an ancient, twisted tree while on holiday at her mormor’s (grandma’s) house on the small island of Skjebne in Norway. Since the accident, her mother seems to be doing her absolute best to keep Martha from her beloved mormor. Desperate to see her mormor, and to get answers, Martha tells her mum she’s staying with her dad and flies to Skjebne. She arrives at her mormor’s cabin to find a strange boy living there. When confronted, the boy tells Martha that her mormor died a week ago and he’s been hiding out in her cabin ever since. Before she can truly come to terms with this news, strange things start happening: a terrifying beast appears to be roaming the land, the twisted tree seems to be calling her, and her blind eye can suddenly see…ghosts. 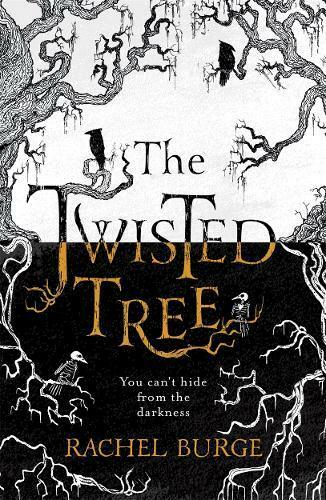 The Twisted Tree is relentlessly creepy. As each mystery is solved another three or four are uncovered, causing you to read even faster, leaning into the book, desperate to find out what’s happening. And while Norse mythology is a large part of this story, it doesn’t bring it to the modern day; instead, The Twisted Tree drags both its protagonists and its reader deep into its ancient past. An excellent summer read for ages 13+.